I really liked the chewy Nutella chocolate chip cookies I made last month. I had a huge craving for them recently, but rather than make the same ones, I decided to play around with the recipe a little. When I put chocolate chips in the batter, it makes the cookies thin and uneven from the chips. But remove the chips are you are left with these perfectly flat, round cookies. I love how these look and I love the soft and chewy texture. I think I like these even better without the chocolate chips. The middle of these cookies take a while to bake. And the cookies are puffy when you first remove them from the oven. But once they cool down, they flatten into the perfect round discs and have a crackly surface. Cream butter with both sugars until light and fluffy. Mix in the egg, vanilla, and Nutella. In a separate bowl, mix the flour, baking soda, and salt. Then add into the wet mixture until just combined. Drop the dough by large tablespoons onto baking sheet, about 2 inches apart, and bake for about 8 minutes. Cookies are done when the middle section looks cooked. Cookies will be puffy and will sinks down when cooled and create crackly surface. I love recipes where I already have everything at home :o) This looks great! Now I hear the jar of Nutella on top of my refrigerator calling to me. These sound amazing. Lovely! Do you know about how many cookies one batch makes? I am going to try making these today, they look so yummy! I was wondering if you could really taste the nutella in these cookies? I’m making them for a friend who is a “nutellaholic” and she wants a strong nutella-y flavor. Hi Summer- I think you can definitely taste that these cookies have some Nutella in them but it’s not a super strong nutella taste. I’ve had problems getting that super strong Nutella taste in cookies and cakes. 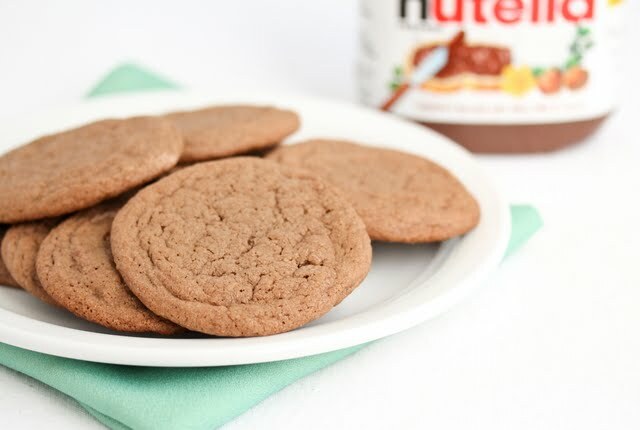 The best one with the strong Nutella flavor are ones that have almost no other ingredients, but those cookies suffer in other ways in terms of texture, flavor. I was pretty happy with these but maybe if your friend doesn’t love it you can try another one of my Nutella cookie recipes. I have quite a few. What sort of sugar do you have? You may be able to substitute but the amount needed would be different. I just made these cookies today for my husband (and myself of course) who is a Nutella-aholic. We love them. The only problem with them is that there were too few of them! Thank you very much for posting this recipe. I don’t see why they wouldn’t come out like the picture because that is how mine came out. I would say each dough ball should be about 1 1/2 inch in diameter. what do you mean by 1 half cup of butter? do you mean half of the stick? No. The butter show measurements, including in cups. 1/2 cup is 1 stick of butter. I don’t like to use sticks for measurement since I don’t know what it is in other countries. Made these last night and they were super soft, chewy, and delicious! 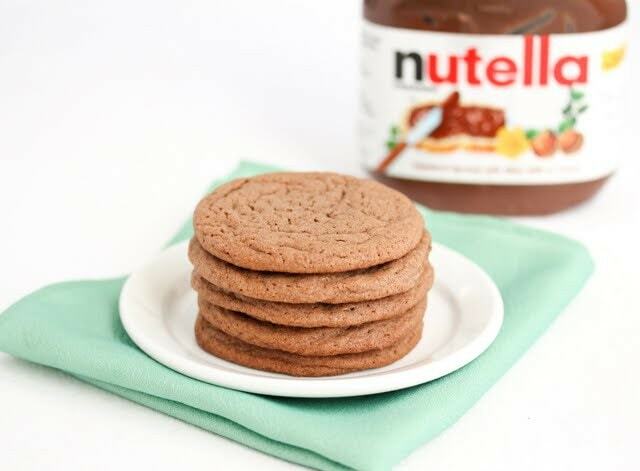 My mother doesn’t like Nutella but she LOVED these cookies! Will definitely make more often! Oh that’s so great to hear! By “Then add into the wet mixture until just combined.” Do you mean stir or not to stir? I would think you would stir it all together, but it says add until “just combined”. I would be most thankful if you could shed some light as to what you mean. Thanks in advance. 🙂 Looking forward to making these cookies, they sound yummy! Well the recipe is using a mixer. So you are supposed to mix/beat the dry ingredients into the wet mixture. What I mean by just combined, is that you don’t want to over mix. You just mix until the ingredients are all incorporated together into a smooth dough and then you stop. The brown sugar helps with the chewy texture and also adds something to the flavor. OK…Have to tell you that this was the first time I had had Nutella (or anyone in my family). I know…I know…this is hard to believe. I must tell you that we (2 adults and 2 7 year old girls) consumed the entire batch in a few hours! And I already had a request to make them again tomorrow! Thanks for the introduction to the product and the great recipe. Welcome to the wonderful world of Nutella! May i please ask, will it be fine if i replace the “light brown sugar” with “dark brown sugar”? Yes that should be fine, though your cookies will be a little darker and have a bit stronger taste. My first batch is baking in the oven and the cookies smell *devine*. I am sure they will not last long because my husband will eat Nutella straight out of the jar! 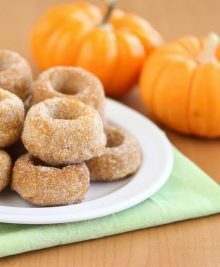 Qi- for future reference, you can substitute light brown sugar with 1 part dark brown and 1 part white sugar (in this case, a bit less than 1/4 cup each). Brown sugar is simply white sugar soaked in molasses. The darker the sugar, the more molasses it contains. Of course, molasses is a by-product of refined sugarcane… so it’s all sugar! Thanks for this great recipe (and I love your blog). Yay! Happy to hear they smell delicious. Hope you love them! Sorry I’ve actually not had to bake in high altitude before so I really don’t know what changes need to be made. maybe someone else can comment. gonna try this tomorrow! hopefully my cousin and bf will like it as they lovee nutella soo much. i just wanna ask if I need to flatten the cookie in the middle of baking? coz i know some cookie need those flattening process to get some chewiness..
Nope, these cookies actually flatten by themselves. They are puffy when they first come out of the oven but after they cool they get really flat. Hi, what type of flour did you use? Thank you for the kind comment. It definitely negates random mean negative comments people feel the need to leave sometimes. 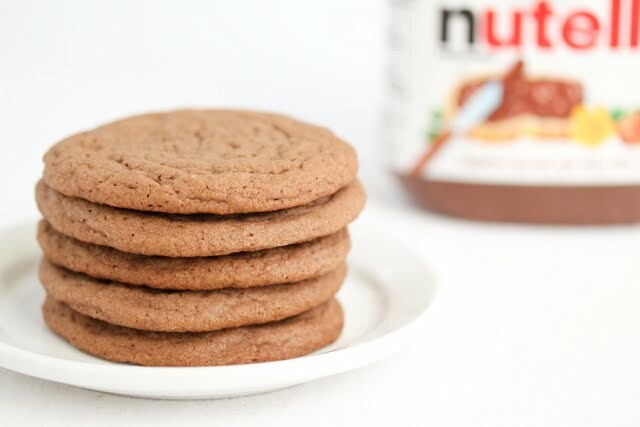 In the other nutella cookies there was 1 cup of nutella, in these there is only 1/2 cup. Does that mean that they will be less chocolaty? Do you think it would mess up the recipe if I put a whole cup of nutella? I love nutella!! Hi, i was wondering if 350 F oven would be like minimum or medium because I’m from Argentina and my oven doesn’t have degrees. I’m really looking forward to bakins this cookies and many other recipes I’ve read here. I’m really not sure how to set your oven without any degrees. Baking is very dependent on an exact temperature and even something a few degrees off can cause the cookies not to cook correctly. I’m confused by the sugar amounts. Do you really mean 1/2 cup but then remove 2 tbsp.? ?